CHICAGO - NBMDA, the premiere trade association representing wholesale distributors of building and woodworking materials in North America, is pleased to welcome five new distributor members and eight new manufacturer members. Charles McMurray Co. is a wholesale distributor of household hardware goods and laminates serving California, Nevada, and Southern Oregon. Charles McMurray Co.'s main warehouse is located in Fresno, CA with a branch warehouse in Sacramento. E. Roko Distributors has been in business for over 30 years in British Columbia, Alberta and the Washington State area. They provide quality products and superior customer satisfaction to commercial/residential cabinet makers, millworkers, furniture manufactures and contractors. Intermountain Wood Products was established in 1931 and is located in Salt Lake City, UT. They offer a complete selection of wood products for the cabinet, casework, millwork and flooring industries. The L. E. Smith Company is a third generation, family owned manufacturer of premium quality countertops and is a full service countertop provider, offering laminate and solid surface countertops in a myriad of colors and designs. They are based in Bryan, OH. Sunderland Brothers Company has a long company history, having been founded by James A. Sunderland in 1883, and has seen a lot of growth over the past 20 years. They are located in Omaha, NE, and their product mix is balanced between strong domestic companies and imports. Cikel America, LLC is based in Miami Springs, FL. Cikel Group is dedicated to "preserving the biodiversity of our natural forests." The group is credited with the high degree of commitment to the environmental cause. The North America office has quick ship inventory which adds to the high standard of the products and services delivered. DuPont Building Innovations manufactures building solutions under the brands Corian®, Zodiaq® and Tyvek® and operates in Wilmington, DE. Jowat Corporation is a global producer of adhesives and related materials in many industries, including wood and furniture manufacturing, paper and packaging products, automotive, graphic arts and textiles. They are headquartered in High Point, NC. Kesseböhmer supplies elegant, high quality solutions for brilliantly organized kitchen storage. Located in Wilmington, NC, Kesseböhmer solutions help end users to make best use of available space and to streamline work processes. NorthStar Chemicals was founded in 1996 by a talented chemist committed to developing a superior line of adhesives for the woodworking, RV, marine and manufactured housing markets. 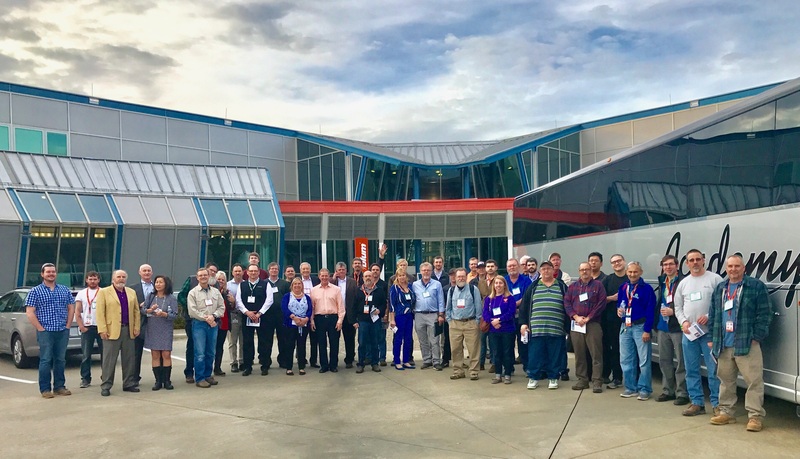 Headquartered in Cartersville, GA, the company has developed rapidly and evolved into the fastest growing canister adhesive producer in the US. States Industries LLC is located in Eugene, OR, and provides the beauty and warmth of natural hardwoods and premium softwoods to designers, manufacturers and consumers alike. Quality Edge is based in Walker, MI, and is loyal partner to one- and two-step distribution channels, providing exceptional, industry leading products and customer service. Wilsonart LLC is one of the world's leading manufacturers and distributors of high pressure laminates and other engineered surfaces used in furniture, office and retail space, countertops, worktops and other applications. Wilsonart is located in Temple, TX. "NBMDA experienced solid growth in the last two quarters of 2013," said Kevin Gammonley, executive vice president of NBMDA. "These new members continue to enhance the value that NBMDA provides through an expanded network of members across North America and the opportunity for new business connections." Distributors, manufacturers and service providers looking to learn more about NBMDA membership are encouraged to visit www.nbmda.org.